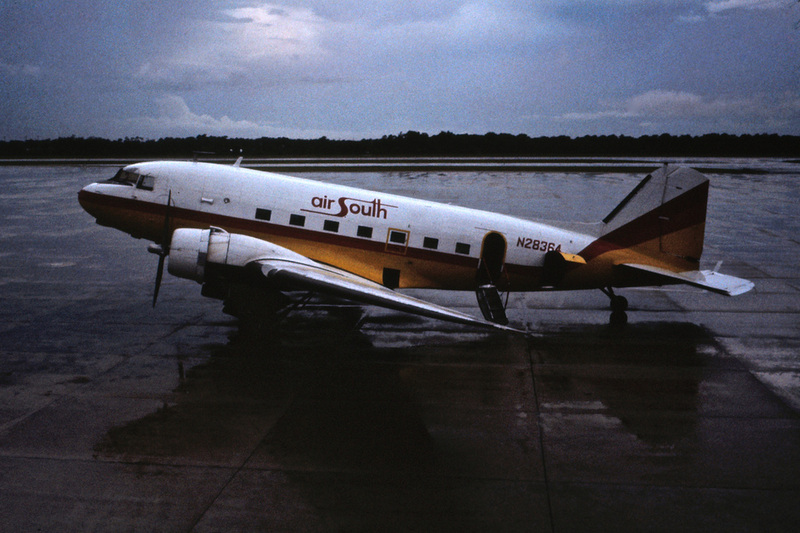 ﻿﻿The following photos of Air South / Florida Airlines Douglas DC-3 N28364 (msn 4108) were taken in August 1978 and come to us from artist Steve Frenkel. Steve also goes by the name steveartist over at flickr, which is where I discovered them. They really capture the atmosphere of flying in the classic propliners of Florida's great independent commuter airlines of the 1970s. Thanks for sharing these Steve! 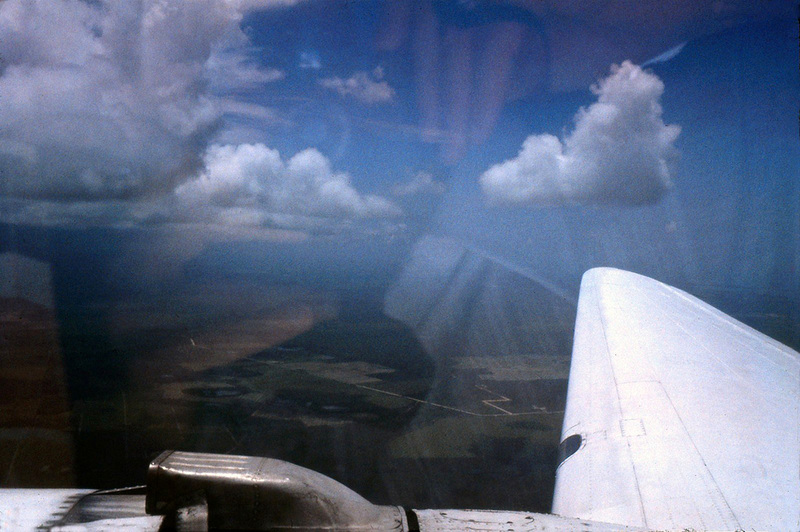 Steve writes: "I flew on this Douglas DC-3 from Ft. Myers (where this shot was made) to Miami. I had originally booked the flight on some jet or another, but when I got to the airport I found out that the DC-3 was leaving about the same time and I just grabbed it! It was a magical flight over the Everglades. I'll never forget it." Dave's notes: Even though the plane has Air South titles, this flight would have been operated by their southern sister, Florida Airlines. This was at the old Ft. Myers airport, Page Field (FMY). "We flew around, and pretty much under, some thunderstorms. Crossing the Everglades I could imagine that I was in a DC-3 crossing the Amazon in 1938. It was absolutely like time travel." This aircraft, N28364, was built for Braniff in 1941 and later flew with Trans Texas, Texas International and Central Iowa Airlines before joining the Air South / Florida Airlines fleet in the mid '70s. It later flew with a company called KDD Aviation and was damaged beyond repair in a landing accident in Mexico on July 13, 1987.